For information on how to download the latest build see Downloading the Latest Build of Acronis Software. (!) 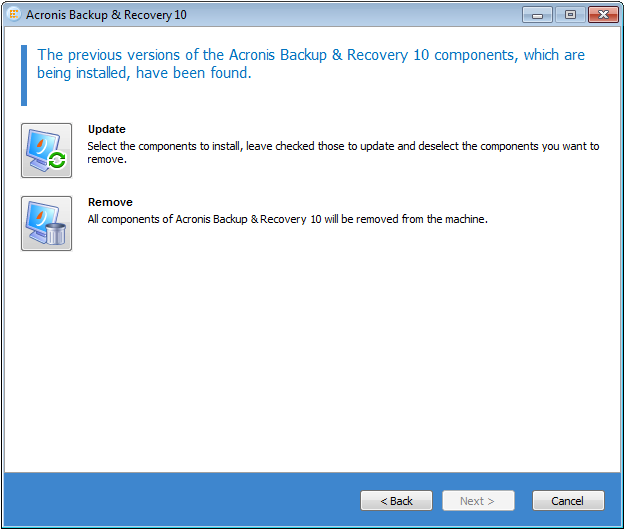 To update Acronis Backup & Recovery 10 components while preserving all previous settings, tasks, and policies, it is recommended to install the update build without uninstalling the previous build. See also Acronis Backup & Recovery: Recommendations on How to Avoid Reboot after Installing, Updating, Upgrading, or Uninstalling the Product. (!) Please log off from the system and then log on before starting the update installation, otherwise you will have to reboot the machine after installation of the update. 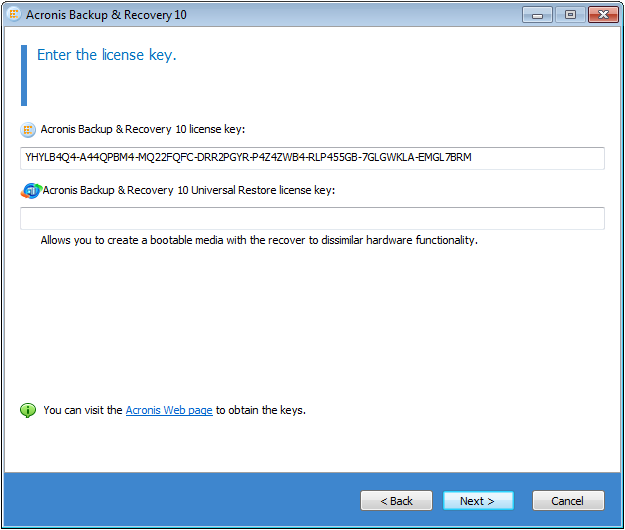 For details please see Acronis Backup & Recovery 10: "Files in Use" and "explorer.exe" Warning during Installation. This will update the product and will also install the online backup feature. 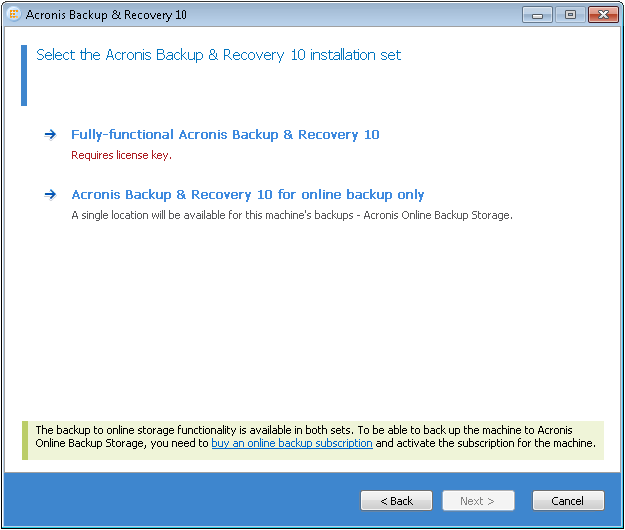 See also Acronis Backup & Recovery 10 Online. 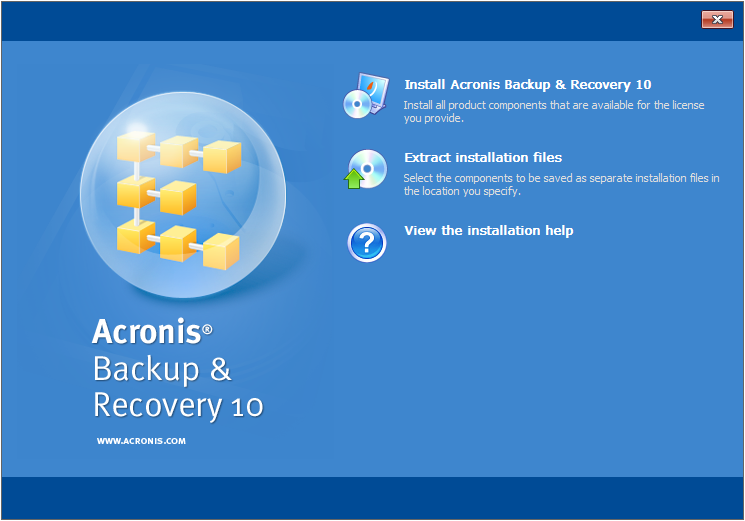 For information on how to update Acronis Backup & Recovery 10 Advanced Editions, see Acronis Backup & Recovery 10 Advanced: Updating to Build 13762. For information on how to update Acronis Backup & Recovery 10 Server for Linux, see Acronis Backup & Recovery 10 Server for Linux: Updating to Build 13762. For information on how to update Acronis Backup & Recovery 10 Advanced Agent for Linux, see Acronis Backup & Recovery 10 Agent for Linux: Updating to Build 13762.